This is clever. 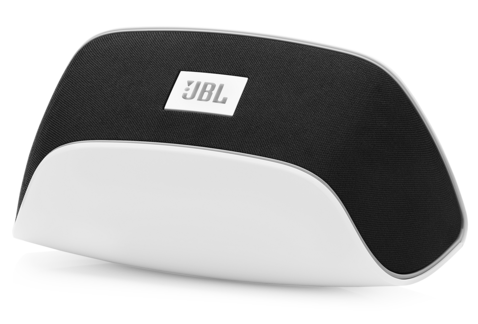 Instead of joining the fray with just another small, wireless speaker, JBL made the Soundfly, which is a small, wireless speaker that supports itself from an electrical plug. Talk about plug and play, amirite. Using a standard electrical jack, the Soundfly plugs into an outlet, where it can live out its days hanging from the wall, playing Dashboard Confessional streamed from a wireless device. There’s a Bluetooth and Airplay versions, for $179 and $199, respectively. The Soundfly joins the rest of the small speakers currently flooding the market. But it’s different. It’s not portable and is semi-permanent. But by hanging from an outlet, JBL ingeniously resolved two of the inherent downfalls with portable speakers: where do you put it and how does it stay charged. Sure, this little speaker might not be the best solution for everyone, but it’s a fine alternative to a Jambox or Jabra Solemate (my personal fav) if the speaker is just going to be used a single location anyway.